The Gift of Truth, Inc.: Just a little encouragement! Hey there! I know, I know, I've been missing in action. Well, I have had an eventful past two weeks but I am glad to say that I'm bacckkkkkk! So, the other day I posted the above image on my social media outlets after being reminded of God restoring power. So often, we forget to reflect back. I was literally overwhelmed with gratitude because God saw me through situations that I deemed "impossible". 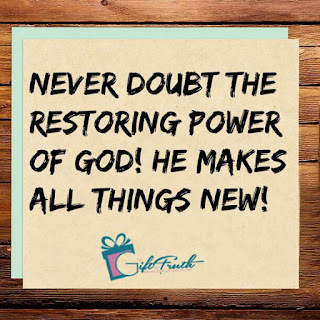 It's one thing to say that God is a restorer, but it's another thing to actually be restored. To restore means to "bring back, reinstate, return to a former condition, place, or position, repair, or renovate." Do you like HGTV? Well, I'm an addict and I am always amazed at how people are able to take old dilapidated homes and transform them into beautiful, regal ones. 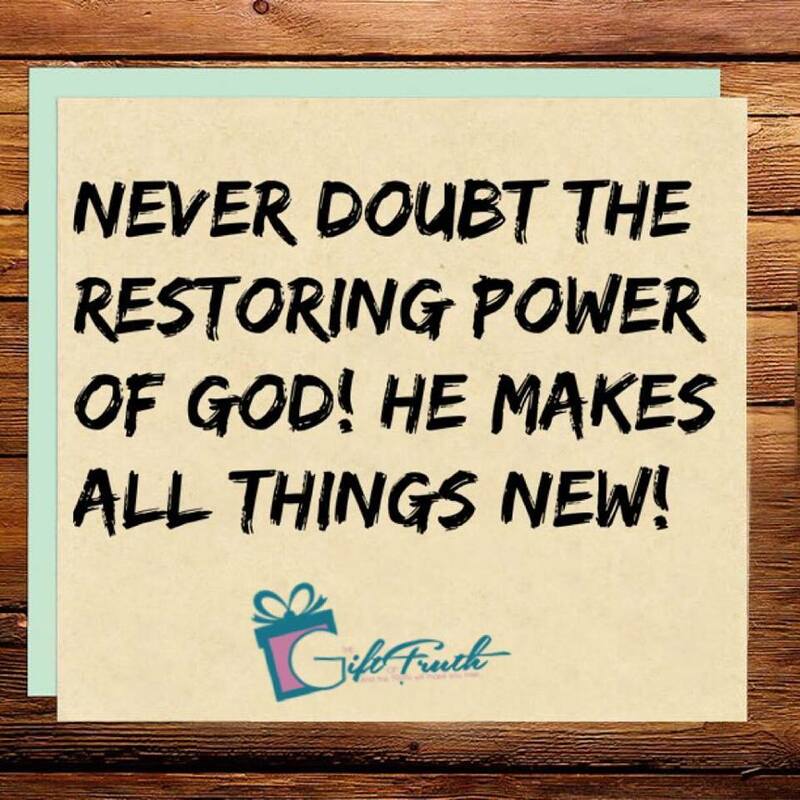 That's the power of restoration and that is exactly what God can do in our lives if we allow him to. So, what situation have you given up on because of how it looks. Like the designers on HGTV, you can not be moved by what you see. The windows can be cleaned, the roof can be replaced, and the walls can be painted (or removed). Your focus has to be on the condition of the foundation, the value, and the possible return on your investment. Why not consult with God through prayer and let him tell you if the situation can be restored. Please don't give up on your marriage, your ministry, your dream, or that unsaved loved one until you consult with God. Often times, we are trying to "DIY" situations that require a professional contractor. Let God help you! The awesome thing about God is his work is pro bono so it doesn't cost you anything! You would be crazy to pass up FREE help! I pray this encourages you... Have a great weekend! You are so right. We have to seek the Lord first. I have given up a few times on my dream but god has given me bro.and sis in Christ to tell me don't give up. But for me I didn't know what to do to even start . I'm praying god show me how to start or what to do. Thanks for your comment Zaphoria! I am glad the blog post was a blessing you you!